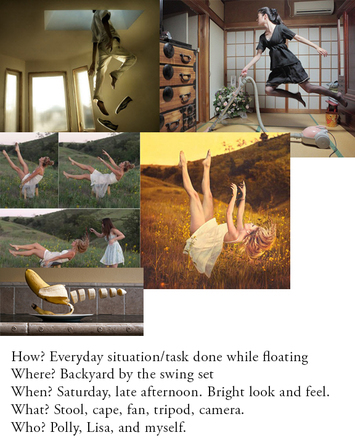 Objective: Plan your photo shoots in your idea journal to create the best possible images. Idea - Why are you taking the photos, and/or what are you saying with the photos? How - How are you going to accomplish this idea? Where - Where are some possible locations you can go for this idea? When - When are you going to do this? Set a plan! You have a smart phone. Use it! What - What props or equipment do you need for your idea? Who - Who will be there for your model or to help you out? Start by viewing the image and taking note of your initial feelings towards the photograph. What’s your gut reaction? How does it strike you? How does it make you feel? Look at the image for at least 30 seconds straight. Move your eyes around the frame from corner to corner. Where do they go naturally? Why? Where do you find your eyes resting for longer periods? Where do your eyes not want to go? Do you find any elements particularly distracting from the focal point? Pay attention to the different elements in an image. Do the elements add interest or not? Consider the purpose of the image. A fine art portrait probably shouldn't be critiqued as if it were a professional headshot. Is it a test image? Then perhaps more technical notes are warranted. Does the image communicate its desired message? Why or why not? Consider the elements of design: Line, shape, form, value, space, color, and texture. Lastly, think about how the image could be better technically. This is typically the most straightforward consideration, and so think about last. Is the image too soft? Too crisp? Over or under saturated? Over or under exposed? Etc. Objective: Learn about pre-production work in planning a creative photo shoot, taking the planned photos, and editing them. Also, learn how to use layer masks in Photoshop. What is due? 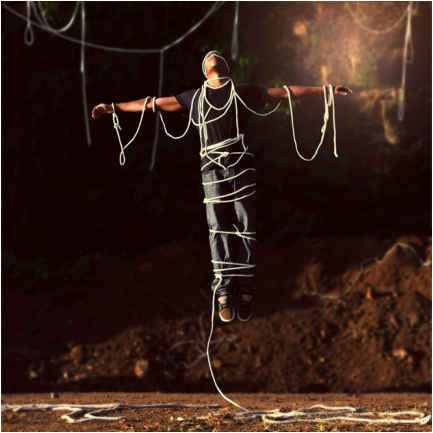 2 levitation photos, each of which are made up of at least two photos (subject and then background). A great set of instructions can be found here for taking the photos and editing them. We are doing the levitation photos that involves using a stool or box on which to rest the subject. Use a tripod and manual mode. After you focus on the subject, switch the lens to manual focus. You'll take one photo of the subject resting on the support (i.e. stool), then remove the support and subject and photograph the environment without changing any settings. The video below shows how to do the Photoshop steps to combine the two images. The question you need to ask is, "Why is this person levitation?" Answer that question in your photograph, and it will be much more interesting to look at. Inspired by Riccardo Melosu's "Nothing is Obvious" series. What is due? 2 photos, each of which are made up of at least two photos (subject and then background). 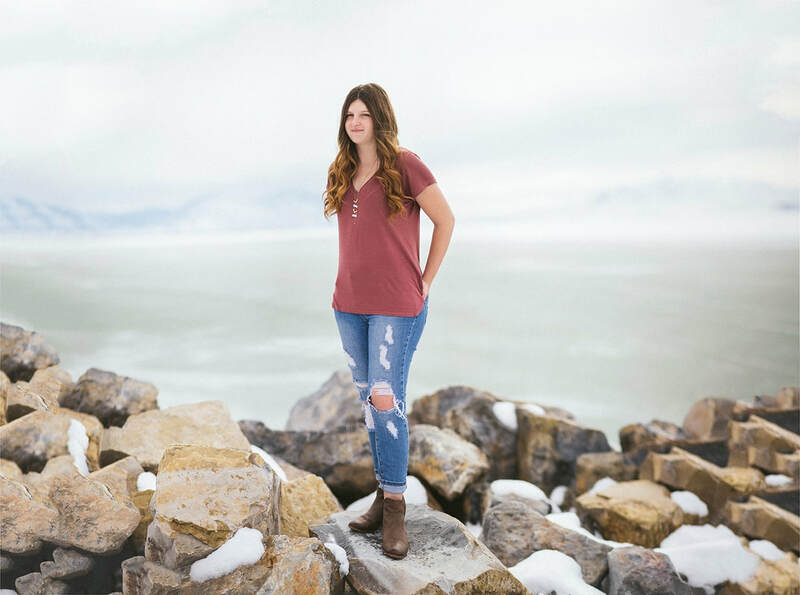 Set up your camera on a tripod, pose your subject with an environment that will aid in your vision of Nothingness, and focus your camera on the subject. After you focus on the subject, switch the lens to manual focus. You'll take one photo of the subject, then have the subject step out of the shot, and photograph the background without changing any camera settings, ESPECIALLY the focus. What question is your photograph answering about nothingness? Clearly and simply state the central idea of your concentration. Explain how the work in your concentration demonstrates your intent and the exploration of your idea. A strong concentration is one with a clear focus on an idea or theme. The focus remains central throughout the portfolio and the progression or transformation of the idea or theme is evident. The work invokes a response in the viewer as it is engaging in form and in content (Sunday, 2011). A concentration is a body of related works that: grow out of a coherent plan of action or investigation; are unified by an underlying idea that has visual and/or conceptual coherence; are based on individual interest in a particular visual idea; are focused on a process of investigation, growth and discovery; and show the development of a visual language appropriate for the subject. A concentration is NOT: a variety of works produced as solutions to class projects; a collection of works with differing intents; a group project or collaboration; a collection of works derived solely from other people’s published photographs; a body of work that simply investigates a medium, without a strong underlying visual idea; or a project that merely takes a long time to complete. Objective: Practice taking a concept and representing it in a photograph. The two photos need to be your interpretation of the song, "Africa" by Toto. You can create photos that represent the entire song or just a portion of it. The other 3 photos need to represent a song that you choose. Objective: Practice taking product photos of reflective objects to better understand light. You need to photograph 4 different products. 2 of the products need to have diffuse reflections (think of how a paper reflects light). 2 of the products need to have direct reflections (think of how a mirror or something metal reflects light). The background needs to be plain and simple - 1 color. It can be matte or reflective, but it should only be one color. You can use a poster board and bend it to create the ground and background of the image, or you can shoot down so all you see is the surface your product is resting on. You will use your own lights for this scene. Think of lamps, flashlights, work lights, etc. that you can use. How can you modify the light to make it bigger and softer if that is the look you want? You can use paper or fabric to soften the light. You will need to position the light to show the form of the object. But you will need to be aware of the family of angles and angle of incidence (see below) and how that will influence your reflections. Effective size of the light source - this is the single most important decision in lighting a photograph. It determines what type of shadows are produced and may affect the reflection. 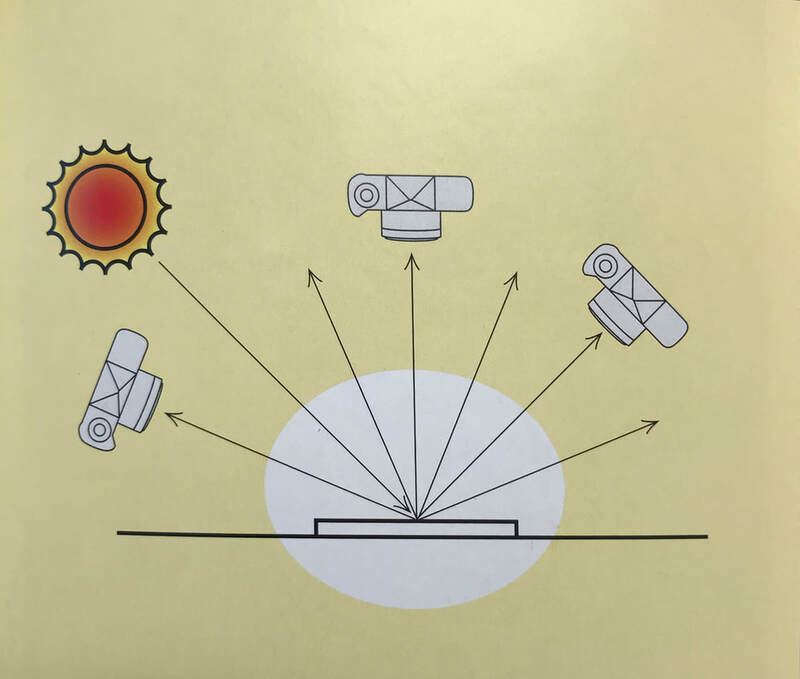 Brightness (brighter is better), contrast (hard or soft shadows, which is related to the effective size of light source), and color of light (temperature). Reflection types: (1) A diffuse reflection from a light source is reflected equally in all directions from the surface (think white card). 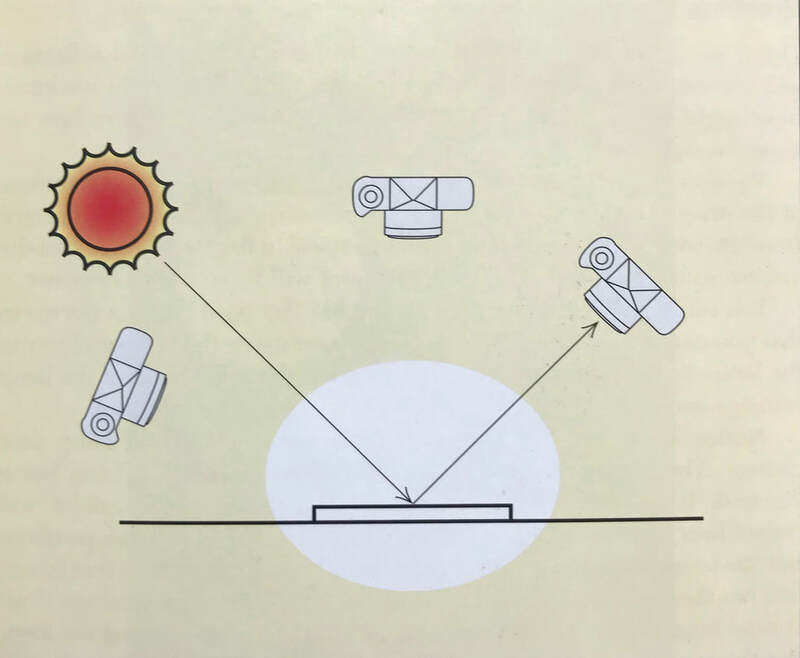 (2) A direct reflection is mirror image of the light source (think mirror). Angle of Incidence - equals the angles between the light source, the subject and the camera viewpoint. 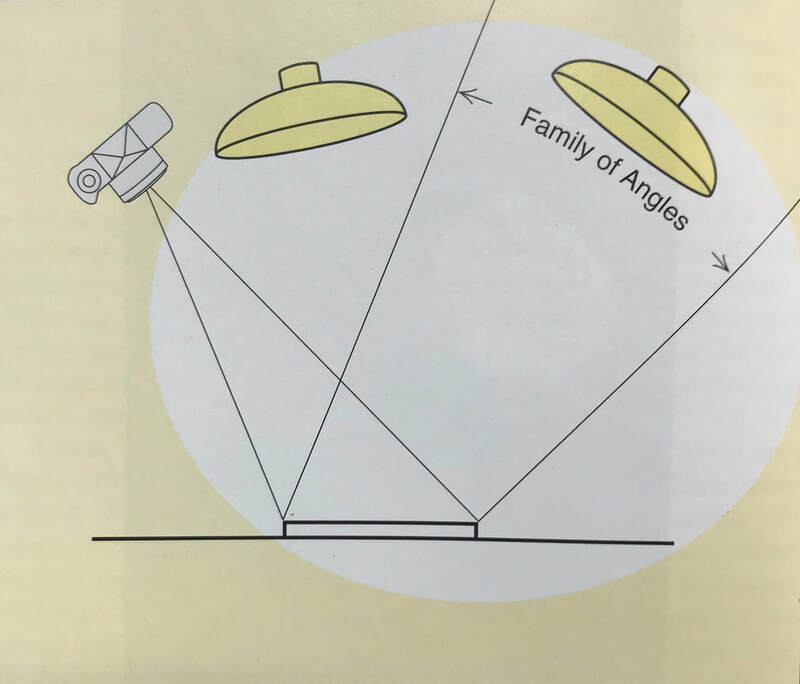 Family of Angles - All the angles that produce direct reflection. Small light source (hard light) with direct reflection off of the CD. The light is in the family of angles from the camera. Large light source (softer shadows) with the direct reflection off of the DVDs. 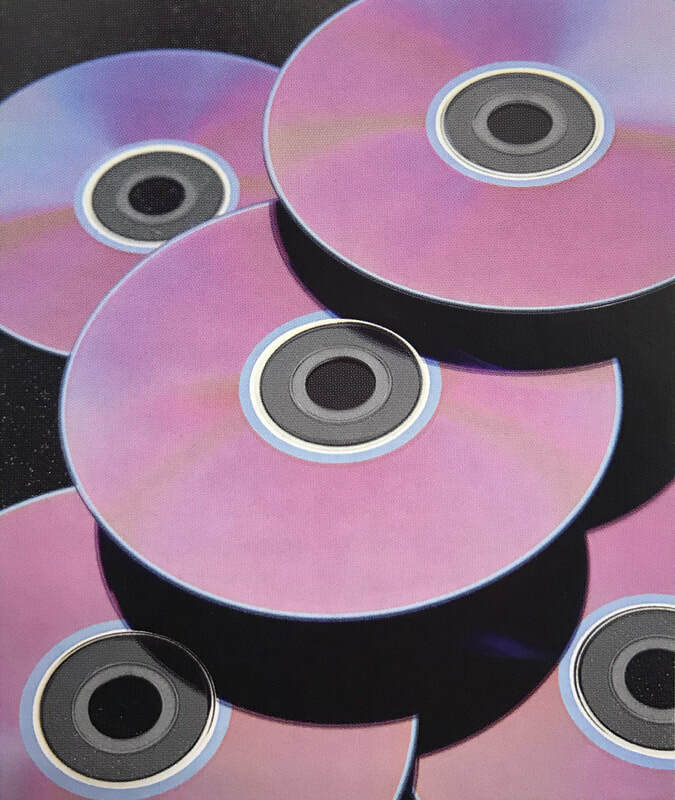 The reflection of the light completely fills the DVDs because the light was large enough to fill the family of angles. Objective: Learn how to plan and convey an idea through photos. What is due? A photo series that conveys the theme of "Dark." Plan a photoshoot that will show your ideas and take as many photos as you need to really make a great photo series. HOWEVER, your first 5 photos are probably not going to be your best. So take more than that. Use your idea journal to plan your ideas, which should show/state what? who? where? when? how? and some inspiration for your shoot. Objective: Learn how to control the on-camera flash for special effect. What is due? 10 photos that show experimentation with rear curtain sync and shutter drag. Shutter sync is when the flash fires during a photo. If the flash fires as soon as the shutter opens, it is called front shutter sync. If the flash fires right before the shutter closes, it is called rear shutter sync. To decide between the two, ask yourself if you want the motion to be behind the movement or in front of the movement. To learn more about rear curtain sync, you can read this article here or read this one here (better examples). You can see some good examples on this website to help get your creative juices flowing. This article and video is by a photographer who uses this technique, too. Not only can you move the camera while taking the photo with a slower shutter speed, you can also zoom in or out to create some cool movement. Objective: Learn how to show relationship through photos in a planned photo shoot. What is due? 10 photos that show one type of relationship, such as love, friendship, nature and human, pet and owner, hands and objects, or something else creative. Use different techniques that you have learned to show the theme "relationship" in an interesting way. The 10 photos need to be focused along one idea. Use your idea journal to plan the Who, What, Where, When, and How and put inspiration photos in it as well so your photos turn out awesome! Objective: Analyze current popular culture themes and everyday issues to figure out a way to show them in photographs. What is due? 5 images. Research what constitutes Pop Art. Then think about popular culture or everyday issues/objects that you can represent in the series. The ideas in the series don't need to relate but the way they are visually represented need to be similar. Make sure to complete the idea journal. Objective: Learn how to pay attention to light and shadow and practice taking portraits. What is due? At least 5 photos that are close up portraits that have interesting patterns of light or shadow on the face. You need to practice looking and light and the shadows produced by the light. To do that, observe your surroundings or create the light yourself. Where can you find the light? Do you need to go by a window or open door? Or can you find the light outside? Do you want to create your own light with lamps/flashlights and objects in the way to block the light? Can you cut paper to create interesting patterns? Do you want your photos to be low key or high key? What how Peter Hurley interacts and coaches the subject for his photos. Objective: Use elements and principles of design to show solitude and practice developing ideas. What is due? 5 photos that show solitude in some way and your idea journal. Be creative. How can you use the principles and elements of design to help convey solitude? Objective: Learn how to create a specialized panorama to achieve a shallow depth of field with a wide angle of view. The Brenizer Method is a way to create a specialized image with a shallow depth of field but wide angle of view, and it was popularized (though not created) by the photographer Ryan Brenizer. Similar to a panorama, Brenizer Method portraits consist of several photos stitched together to make one image. The objective of the Brenizer Method is to achieve a very shallow depth of field with a lot of background blur and bokeh. This shallow depth of field is only possible through layering images together. To achieve this you need to use all manual settings - white balance, shutter speed, aperture, and ISO. Most importantly, though, your focus needs to be on manual or stay locked throughout the process. You will be stitching the images together in Photoshop, and it will not work if the camera automatically changes the focus for each shot. It will also look bad if the white balance changes between each shot, too. We wouldn't want a bad looking photo now, would we? When taking the photos, I would start from left to right, top to bottom - similar to the way a book is read. Make sure you overlap each photo by at least a 1/3 to ensure Photoshop knows how to stitch the photo together. If taking portraits, make sure that the subject's face isn't cut off. Ensure the exposure, white balance, and focus remain the same throughout the process. After importing the photos into Lightroom, select the series in the film strip and then click Photo > Edit In > Merge to Panorama in Photoshop. Leave the settings in the Photomerge dialogue box to what it's set (Auto, and Blend Images together checked) and click Ok. Wait. Then crop and edit either in Photoshop or Lightroom. What is due? At least 10 photos. Objective: Explore an idea or theme and make interesting photos by paying attention to light and contrast instead of color. Take this assignment however you want. You can create any type of photo you want (portraits, landscape, etc.) but focus on one idea or theme. 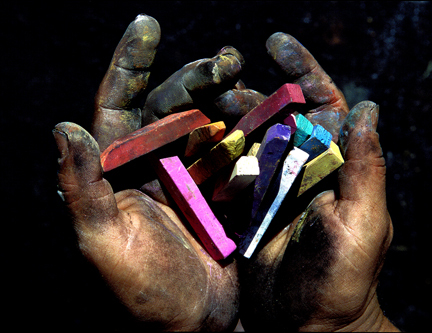 Fine art photographs are created to fulfill the creative vision of the artist. Maybe try something new by doing long exposures at night but not focused on astrophotography (see photo below left) but have a vision or idea. A great example is this series by Dennis Ramos called Streetscapes. Another option is to try using neutral density filters. This will allow you to have a slower shutter speed during the day (see below right) and have the effect of blurring the motion during day. With black and white images, it also allows you to edit your photos differently. You can be more extreme with the contrast and dodging and burning to draw the attention to certain areas. This Way by Dennis Ramos. 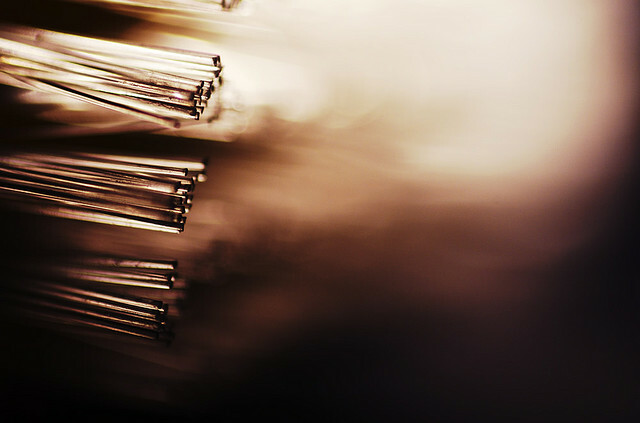 Objective: Use elements and principles of design to create abstract photos. Wikipedia: Abstract photos are visual images that do not have an immediate association with the object world. An abstract photograph may isolate a fragment of a natural scene in order to remove its inherent context from the viewer, it may be purposely staged to create a seemingly unreal appearance from real objects, or it may involve the use of color, light, shadow, texture, shape and/or form to convey a feeling, sensation or impression. What is due? Watch the videos below and be ready for a quiz. Objective: Think about creativity, showing your work, and connect the ideas in the videos to yourself and your photography. What is due? 2 photos/images. Objective: Be inspired by artists of all styles and movements to create original art. You will select two of the following artist, chosen from a variety of art movements, to be inspired by. Your assignment will be to investigate these two artist and then make an artwork inspired by each of them. YOU ARE NOT RECREATING ONE OF THERE ARTWORKS, OR COPYING THEM, YOU ARE BEING INSPIRED BY! All photography must be your own, and a few artist there are specific instruction for. What is due? 4 double exposures (8 photos total). 2nd image: Shoot a well-lit textured backdrop, landscape, flowers, grass, etc. This photo fills in the first image. In Lightroom, select one photo you want to use then click Photo > Edit In > Edit in Adobe Photoshop CC. Repeat with second photo. Use the Move Tool to place 2nd image into the same Photoshop document as 1st image. The photo that is the bottom layer will be the outlining shape. Objective: Plan and creatively use water in your photos. Somehow incorporate water into a photo shoot or series. You may take this any direction you want, i.e. landscape, portraits, macro, conceptual, composite, slow/fast shutter speed, etc. I expect to see original ideas and photos, and I expect you to push yourself to do something new. What is due? ​2 photos. Objective: Create two photos for the concentration portion of your AP Portfolio. Plan your photo shoot with your idea journal to get the How, Where, When, What, Who, and some example/inspiration photos in it.